Born: 17 November 1906, Potgietersrus, Limpopo Province, South Africa. Died: 18 August 1979, Pretoria, South Africa. Wilhelm Otto D.M. Neitz, research veterinarian, protozoologist and virologist, was the son of the missionary Johannes Heinrich Christian Wilhelm Neitz and his wife Magdalena Bertha Elwine, born Meyer. He attended school at Potgietersrus (now Mokopane) where he matriculated in 1924. He qualified as a veterinarian (BVSc) in 1929 and obtained a DVSc in 1945, both at the University of Pretoria. His doctoral thesis was entitled Immunological studies on bluetongue in sheep. He followed a career in veterinary research at the Onderstepoort Veterinary Institute from 1930 to 1971, was part-time professor of protozoology and virology at the Veterinary Faculty of the University of Pretoria from 1948 to 1957 and of protozoology from 1958 to 1968, and visiting professor at the Free University of Berlin during the 1960's and at the Universidade Federale do Rio de Janeiro, Brazil from 1972 to 1979. 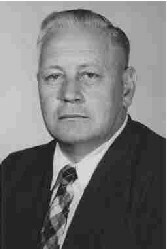 He was president of the South African Biological Society in 1944, served on the FAO/OIE Expert Panel on Tick-borne Diseases in 1956 and was the convenor of a discussion panel of the OIE on ovine and caprine rickettsial diseases in 1968. From 1962 to 1969 he was editor of the Onderstepoort Journal of Veterinary Research. As researcher at Onderstepoort Neitz identified the plurality of bluetongue virus strains, thus explaining immunological failures and establishing the scientific basis of the current polyvalent vaccine. Whilst investigating various forms of tick toxicoses, he discovered that the enigmatic disease of calves known as sweating sickness is caused by the bite of Hyalomma truncatum ticks. He was internationally recognised as an expert on theileriosis, inter alia on account of his identification and description of Theileria parva lawrencei as the cause of "buffalo disease" or "corridor disease", and pioneering studies on theileriosis in antelopes. In the late 1930's he discovered the first chemotherapeutic cure for heartwater (cowdriosis) of ruminants by means of sulphonamides and the first use of this drug against rickettsial infections of animals and humans. He subsequently developed the infection and cure method of immunisation against heartwater which was still in use at the end of the 20th century. He also discovered that the development of macroschizonts of Theileria parva parva is suppressed by tetracyclines which led to the development of an infection and cure method of immunisation against theilerioses by other researchers. During his lifetime Neitz was awarded the following honours: In 1954 the Senior Captain Scott Medal of the South African Biological Society; in 1957 the "Havenga-prys vir Geneeskunde" of the Suid-Afrikaanse Akademie vir Wetenskap en Kuns; in 1963 an honorary doctorate by the Tierarztliche Hochschule, Hannover, Germany; in 1970 the South Africa Medal (Gold) of the South African Association for the Advancement of Science; in 1971 the Gold Medal of the South African Veterinary Association; and in 1975 the Elsdon-Dew Medal of the Parasitological Society of Southern Africa. Neita was author or co-author of 133 scientific publications up to 1971. Some key publications are the following: "Die Wirkung von Uleron auf das Herzwasser (Rickettsia ruminantium) der Schafe" (Berliner und Munchener tierarztlicher Wochenschrift, 1939, pp. 134-140); "Aureomycin in Theileria parva infection" (Nature, 1943); "Immunological studies on bluetongue in sheep" (Onderstepoort Journal of Veterinary Science and Animal Industry, 1948, Vol. 22, pp. 93-136); "Hyalomma transiens Schulze: A vector of sweating sickness" (Journal of the South African Veterinary Medical Association, 1954, Vol. 25, pp. 19-20); "Corridor disease: A fatal form of bovine theileriosis encountered in Zululand" (Bulletin of Epizootic Diseases of Africa, 1955, Vol. 3, pp. 121-123); "A consolidation of our knowledge of the transmission of tick-borne diseases" (Onderstepoort Journal of Veterinary Research, 1956, Vol. 27, pp. 115-163); "Theileriosis, Gonderiosis and Cytauxzoonosis: A review" (Onderstepoort Journal of Veterinary Research, 1957, Vol. 27, pp. 275-430); and "A check list and host list of the zoonoses occurring in mammals and birds in South and South West Africa" (Onderstepoort Journal of Veterinary Research, 1965, Vol. 32, pp. 189-374). Bigalke, R.D. In Memoriam: Prof. Dr. W.O. Neitz. Journal of the South African Veterinary Association, 1980, Vol. 51, pp. 125-126. Graf, H. Havengaprys in die natuurwetenskappe en tegniek, afdeling geneeskunde, 1957, toegeken aan Professor Dr W.O. Neitz. Tydskrif vir Wetenskap en Kuns, 1957, Vol. 17(2), pp. 22-23. Notes and News. South African Journal of Science, 1970, Vol. 66, pp. 287-288.